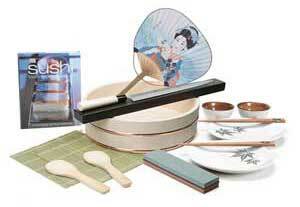 For several years we've run a sister web store selling utensils and cooking supplies for the home sushi enthusiast. Now we have those same great and hard-to-find items here at Everything Chopsticks! We have everything you need from rice tubs, paddles and rolling mats to cookbooks, presentation and serving ware. Have fun!